STRABAG Infrastructure & Safety Solutions was awarded a golden camera last Friday. The 3000th JES t/LUM-A tunnel luminance meter was handed over during a little party at the Gräberntunnel construction site. 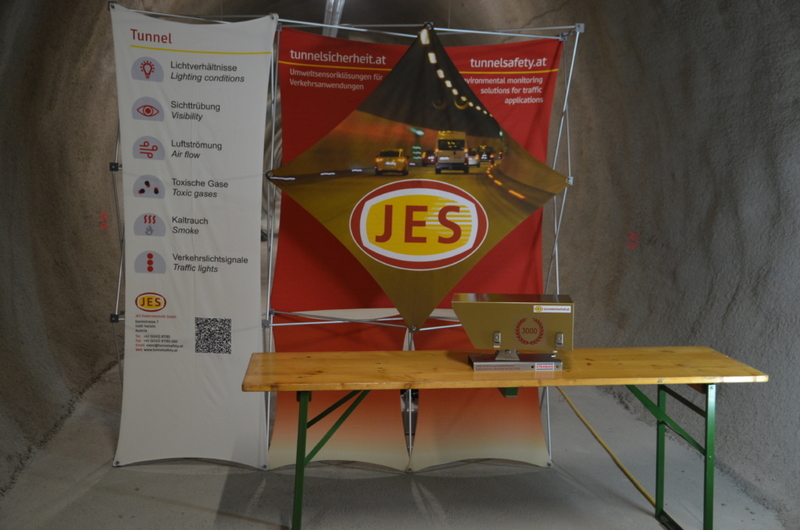 JES has been manufacturing tunnel luminance meters for road tunnels for many years. The first t/LUM-A luminance meters were delivered in 1991 to Schrack Anlagentechnik for the Katschbergtunnel between Salzburg and Carinthia in Austria. While in the first years only 25 luminance meters a year were produced the current annual production is about 200. JES luminance meters can be found in tunnels in Austria, Germany, Switzerland, Norway, China, Vietnam and Brazil. 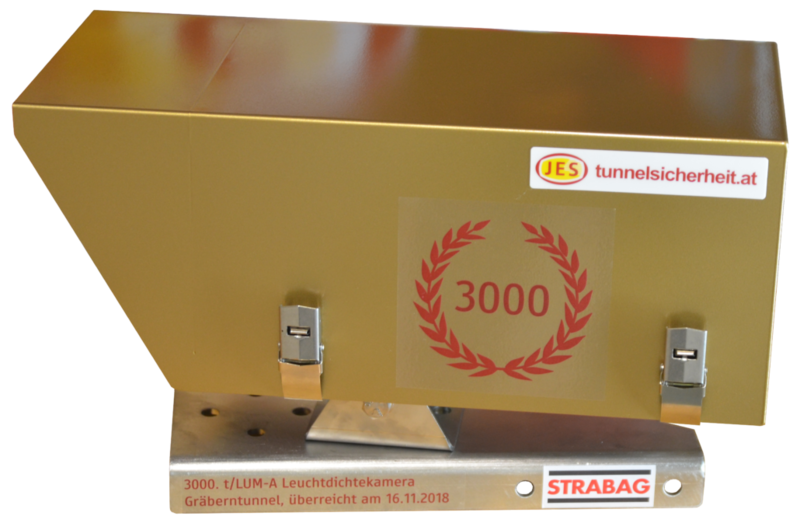 Recently the 3000th t/LUM-A luminance meter has been delivered to STRABAG Infrastructure and Safety Solutions. 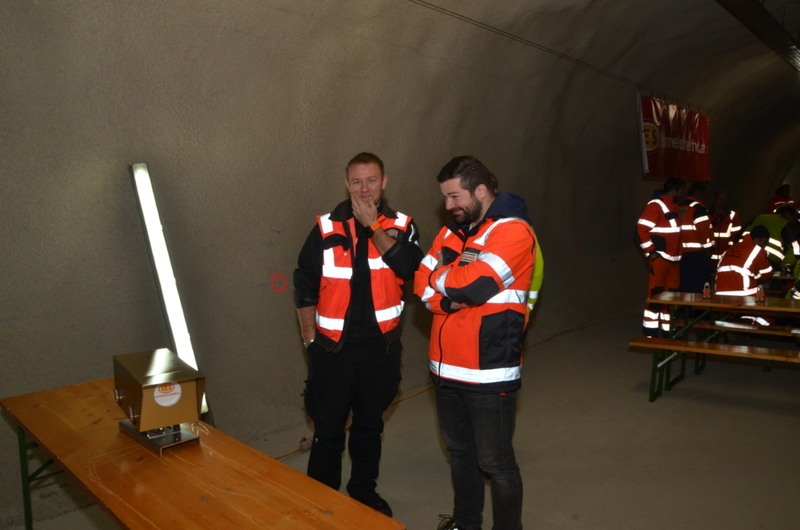 STRABAG is currently refurbishing the electromechanical equipment of the Gräberntunnel. The Gräberntunnel is a two-tube tunnel along the A2 Süd Autobahn in Carinthia, Austria. JES is STRABAG’s partner in this project for the CO, visibility, air flow and luminance monitoring equipment. JES last Friday sponsored a little pop-up party to present a symbolic golden camera to the project. JES managing director René Jung during his short speech thanked STRABAG and ASFINAG for the long-term loyalty in many projects and emphasised that “using high-quality and reliable products like the JES t/LUM luminance meter is the best choice when looking at the whole life cycle of an installation”. Thomas Fuschlberger, Production Manager of JES, received a special applause. He manufactured and calibrated the majority of the 3000 luminance meters. 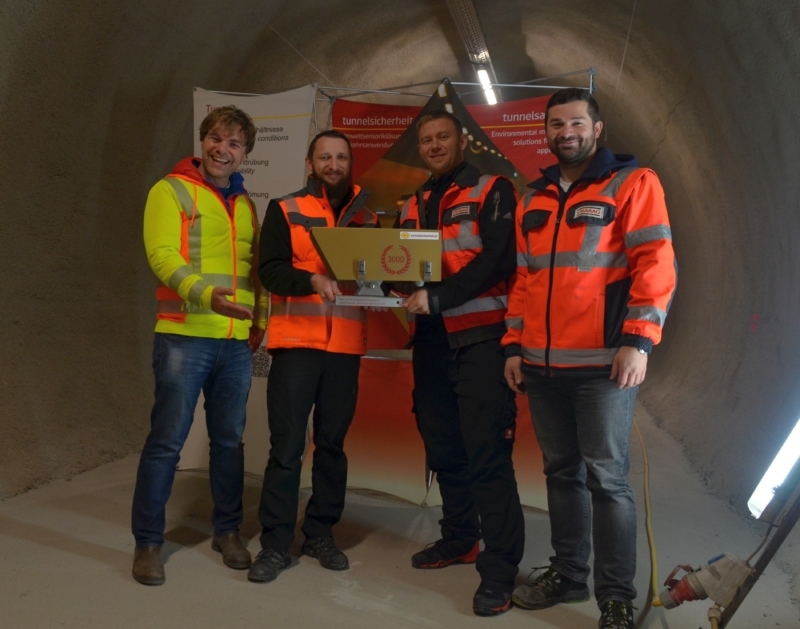 STRABAG Section Manager Tunnel & Traffic Solutions Austria, Stefan Volgger, thanked JES for the trouble-free cooperation in past projects and is looking forward to further cooperation between the two companies in upcoming projects. After the speeches the golden camera was handed over. 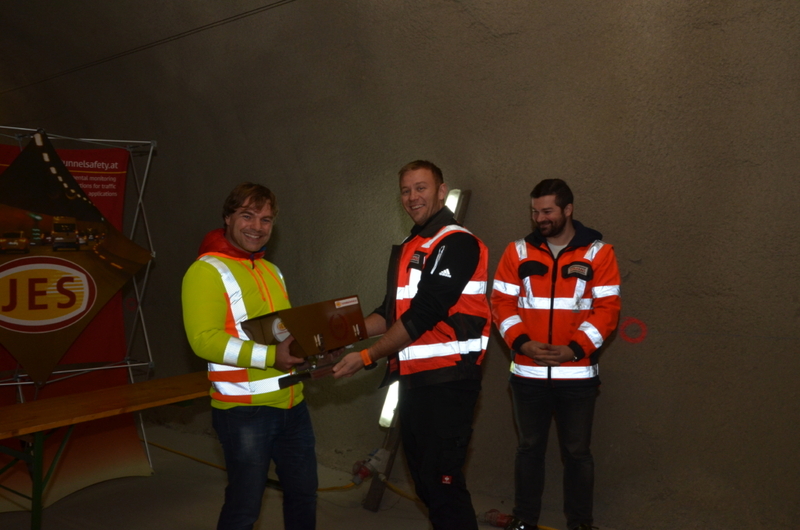 STRABAG Site Manager Christoph Lechner received it as representative for the Gräberntunnel project. The party continued with roast pork, dumplings and drinks. 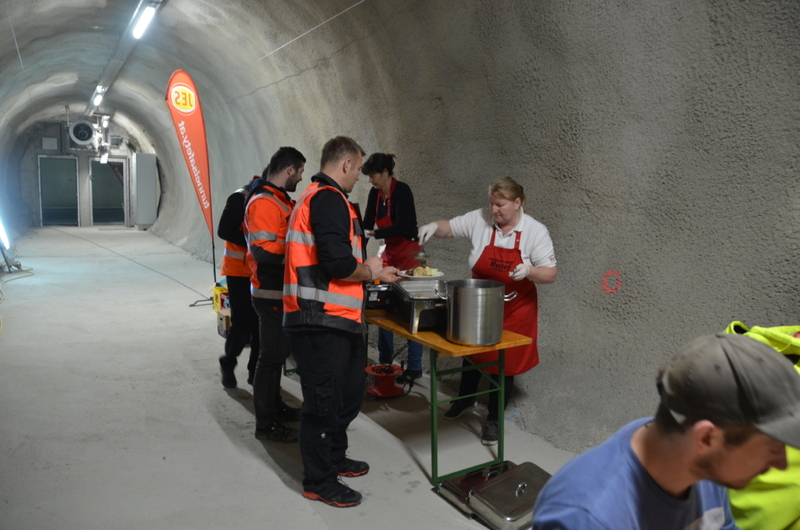 Kaisermühlentunnel passes ventilation tests We are Academic Tunnel Safety Experts!